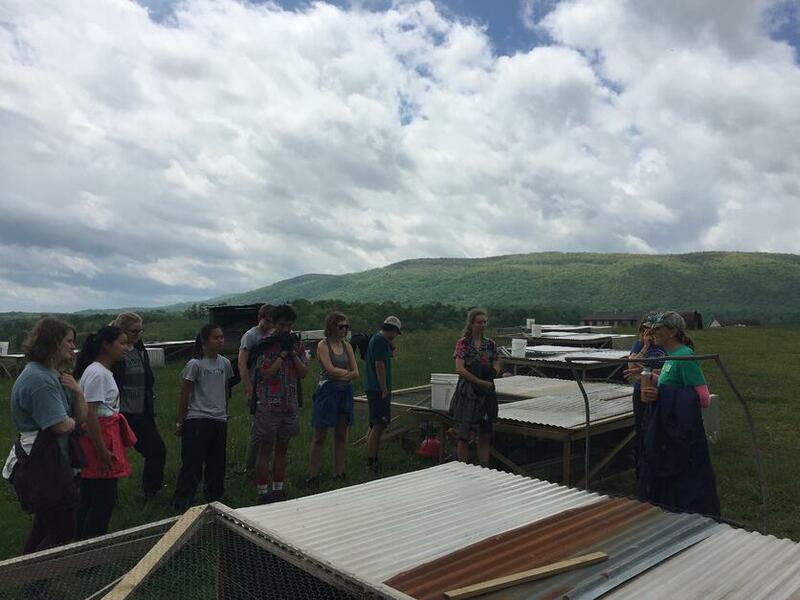 Mountain Classroom: Farms, Road Races, and "Formal"
The conclusion of wilderness solos meant that it was time to embark on our final academic unit in food systems: small-scale sustainable agriculture. There is no better place than Polyface Farm to start the discussions that this unit warrants. From Virginia we drove to Allentown, PA to challenge ourselves physically by running a 10K. And then it was on to Lake Taghkanic State Park in Upstate NY where we camped while visiting farms in the beautiful Hudson Valley. After a 4:30 AM wake up and four hours of driving, we arrived at Polyface Farm amid a drizzle that had followed us there from our solo site in West Virginia. Located just 150 miles from Washington, D.C. in Swoope, Virginia, Polyface occupies about 500 acres of gently sloped fields and forested hills. 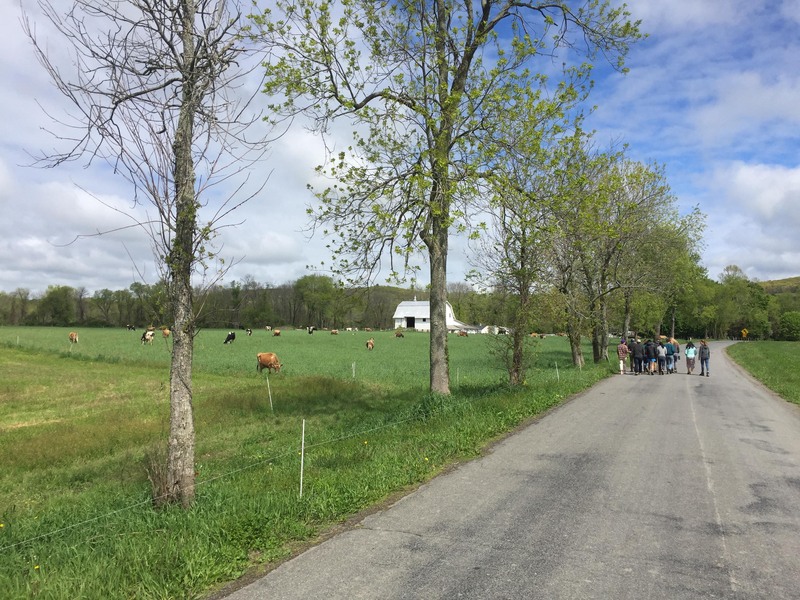 While navigating the tangle of small dirt roads between the highway and our destination, we passed by some of the most beautiful farmland in the country, vibrant green pastures home to cows and goats and surrounded by dark, lush forests. Polyface holds the same beauty as its neighbors, and at face value it does much the same thing: it produces beef, chicken, and pork for local restaurants and consumers. However, it sets itself apart in its methods and its mission as one of the most successful and sustainable organic farms in the country. Polyface uses a unique method of rotational grazing to reduce the impact that its animals have on the land, and as the mist parted over the cow pasture our tour guide, Heather, explained the ideas behind it. “By moving the cows from one section of pasture to another every day,” she said, “we keep them from overgrazing their favorite grass and hurting the biodiversity of the field.” Following the cows, chickens are allowed to graze the fields, and then the grass is given time to recover and regrow before the cows graze it again. This process is repeated year after year in different variations, and it not only protects the grass from overgrazing but also fertilizes it with the manure that cows and chickens naturally produce. As a result, Polyface does not use any fertilizers or pesticides, and the absence of close quarters keeps the animals away from their waste and disease free. 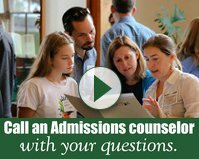 Their innovative system has enabled them to actually build soil on the fields they use for grazing, meaning that the soil is gaining organic matter and becoming richer and healthier, and these results have gained Polyface and its 2nd generation farmer, Joel Salatin, national attention in the sustainable food movement. After seeing the cows, laying hens, and juvenile chickens, we worked on clearing one of the cow pastures of thorny rose and autumn olive bushes. It was fairly mellow work—the small shrubs uprooted easily, and as we traversed the field we talked and laughed about the strange behavior of the cows—but as we began to sweat after just an hour we were reminded of how much work this type of farming requires. Whereas an industrial farmer might spend 50 days per year doing things like driving a tractor and spraying fertilizer, the employees at Polyface spend almost every day of the year doing challenging physical labor. Even after just an hour, though, it was clear how rewarding the work was, and being a part of such a forward-thinking effort to farm sustainably is undoubtedly worth the extra effort. Throughout Mountain, we’ve worked on setting SMART goals—creating objectives for ourselves that are specific, measurable, achievable, realistic, and time sensitive. And so, the night before our 10K race in Allentown, during evening meeting, I created a SMART goal for myself. “I want to give it 110% tomorrow. I want to run so hard that I throw up.” This had forever been the benchmark for me of maximum physical exertion; a benchmark that I had never achieved. If I wasn’t doubled over at the finish line, regurgitating breakfast onto the pavement, it would mean that I hadn’t pushed myself to my limit. The chilly Pennsylvania rain battered us relentlessly as we lined up at the start of the race. Fake blood and bruise makeup ran in rivulets down the sides of our faces and arms. 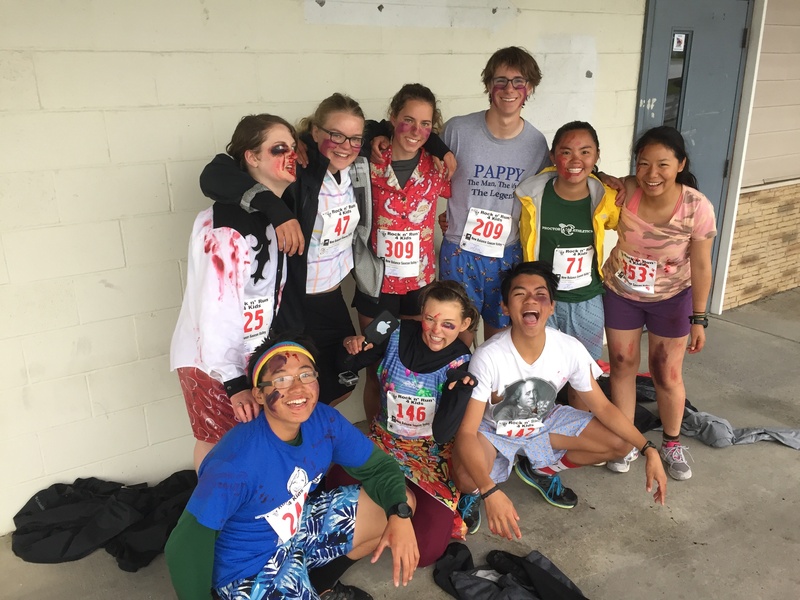 We were dressed as a horde of zombies, outfitted in tattered clothes from the local Salvation Army. People were giving us looks. I think I heard a girl scream. I smiled, secretly imagining the sight we must have been. After a few minutes of hopping from foot to foot in an attempt to stay warm, a man with a bullhorn mounted a podium. 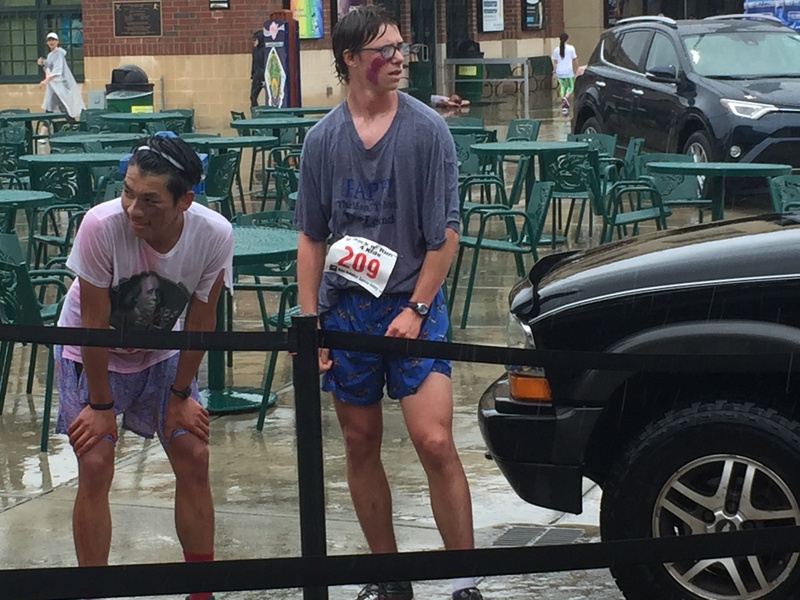 He thanked us for coming out despite the weather, explained the logistics of the event, and before I knew it, the race had begun. One foot in front of the other. One foot in front of the other. My stride fell into a steady rhythm, and I shifted into autopilot. I kept my gaze directed at only the ground in front of me, Ross’s words ringing in my head. “Don’t worry about the other racers.” I thought about our heavy yogurt and granola breakfast from only an hour before, bouncing uncomfortably in my stomach. Push yourself. Don’t quit. You can do it. The minutes passed slowly. Over time, I felt my body object to the exertion. My calves started to tighten, and my lungs began to burn. I ignored the pain, pushing it into a corner of my mind. Zombie makeup bled into my costume, staining my white shirt pink. I pushed on. Suddenly, I heard the distant sound of cheering. Rounding a corner, I saw a group of volunteers in rain ponchos urging me onwards. And beside them, the finish line. Summoning a final burst of energy, I broke into a sprint. The cheering got louder and louder, and I felt a swell of pride as I bounded through the finish, before collapsing in a heap. The rain continued beating down on me. Two days later, we sat on the bus, eagerly waiting for Coco to read out the race results. I had forgotten to check my watch after the race, and had no idea what my time was. “Nick Ho. 42:46. First place in age category, fourth place overall.” Coco looked over at me and flashed a congratulatory smile, but I couldn’t help but feel demoralized. I had hoped for a better time, and I hadn’t achieved my SMART goal. As I sat and reflected on my disappointment, a realization hit me: if I hadn’t thrown up at the finish line, I could have run harder, meaning I have the capacity to be faster. I resolved then to continue pushing myself, and to continue discovering what I am capable of, both physically and mentally. Learning about the food systems of America has, quite frankly, been depressing. A lot of our readings and class discussions paint pictures of large, pesticide soaked monocultures, concentrated animal feeding operations, and farmers who wouldn't even eat their own products. 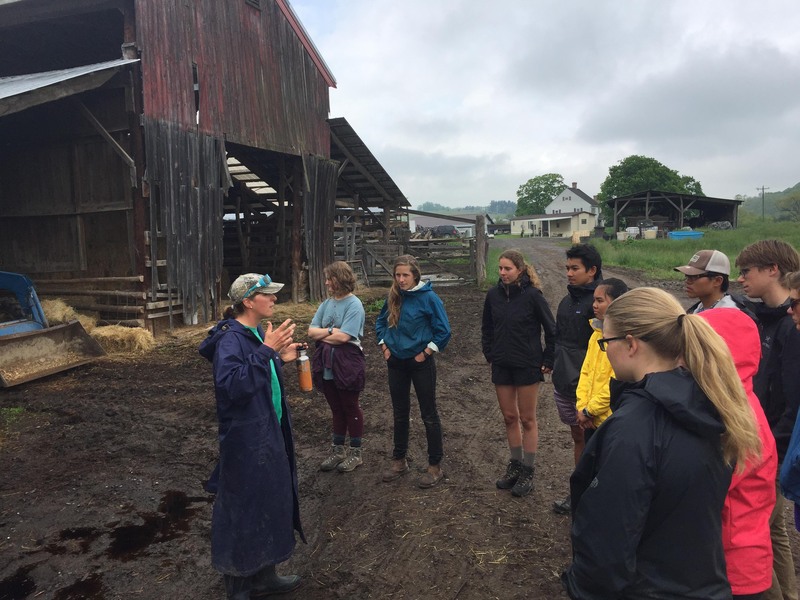 This week however, we were swept away from the harsh realities of eroding soil and a broken food system into New York’s Hudson Valley where we visited Chaseholm and Sparrowbush Farms. There we got to meet farmers who take pride in their produce and want to improve the land they are working with. The first farmer we met was at Chaseholm Farm. Sarah Chase is a third generation dairy farmer who is in the middle of becoming certified organic, and her excitement and love for the cattle is contagious. 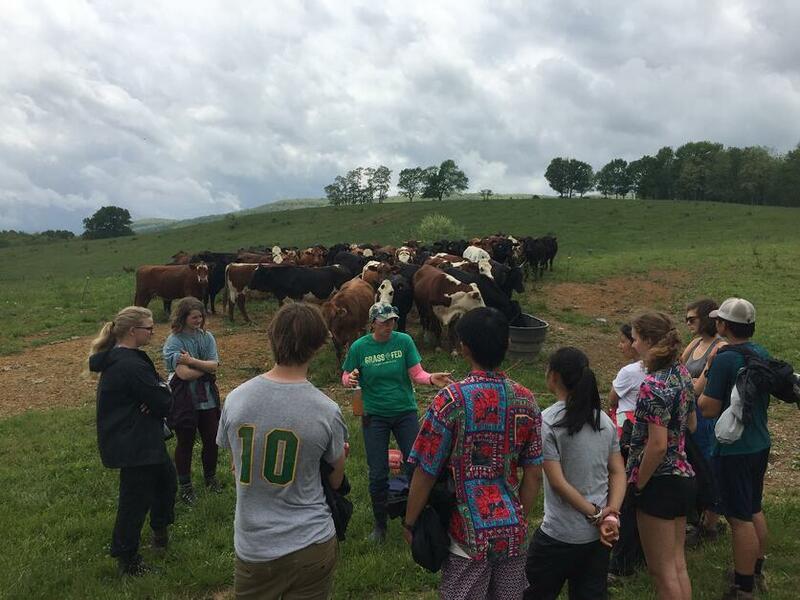 We started the tour by learning about dairy farms, the process of certifying organic, and the way it is mainly set up for large-scale farms. She explained how hard it can be for small farms to navigate through the murky rules and regulations. She touched on the Aurora, CO scandal and how depressing it was to hear that such a huge organic dairy farm was not following the rules and in turn was devaluing organic milk. 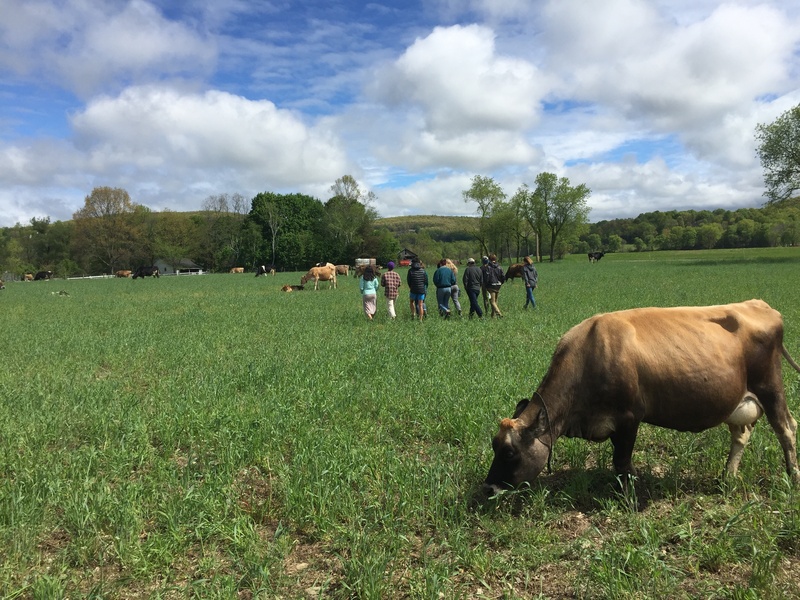 Sarah showed us the fields where she grows hay and oats to sustain the cows through the winter. We also saw the lush pastures where she practices rotational grazing. Then we got to meet the udders behind the operation. It was clear to everyone that Sarah cared deeply for her animals when we went to the field where she kept her cows. “Party, Voodoo, Lady, Betsy, Betty Lou,” she pointed out some of the cattle by name and was able to speak to their personalities. As we stood in the field amongst eighty cows, and many more cow pies, I was amazed that she could tell them all apart. I thought back to the fish tank I had in second grade; I had to name all of the blue ones “Fred” and the red ones “Bruce” because I couldn’t tell the difference. “I work with them every day,” she explained, “I can’t imagine not knowing their names.” The more she talked about her operation, and how much energy she puts into making sure the cows are happy and safe, the more apparent it was that she cares about the work she is doing. Sarah Chase takes pride in producing nutritious and tasty milk. The next day at Sparrowbush Farm we got to meet Ashley Loehr, our instructor Coco’s older sister. She toured us around the farm and explained her operation before putting us to work. Standing ankle deep in a mixture of chicken bedding and feces, we threw out shovel after shovel and raked it across the field while the prehistoric looking birds screamed at us. It turns out that chicken manure is nitrogen rich, and it builds the soil’s fertility, so we mucked the coop in order to build better soil for growing. This is where I saw how much Ashley was invested in making quality vegetables, herbs, and eggs. When I returned to camp, took off my chicken poop caked boots, and finally got to relax, I realized how physically and mentally exhausted I was. All of the hard labor that Ashley invests into her farm provided one more example of a farmer working diligently. She goes out of her way to make quality food to share with her community. There were times in the trip where we learned about soil degradation and large companies taking advantage of Americans living under the poverty line. The US food system at times seems fundamentally corrupt and as though there is no hope to change it. 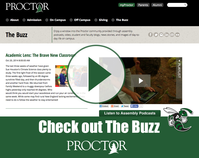 This week we got to meet farmers who care and want to change the system. They are farmers who are proud of their products and want consumers to benefit from enjoying their delicious, healthy food. While the food industries may still need to be fixed, it is refreshing to see farmers who are devoted to producing quality products. 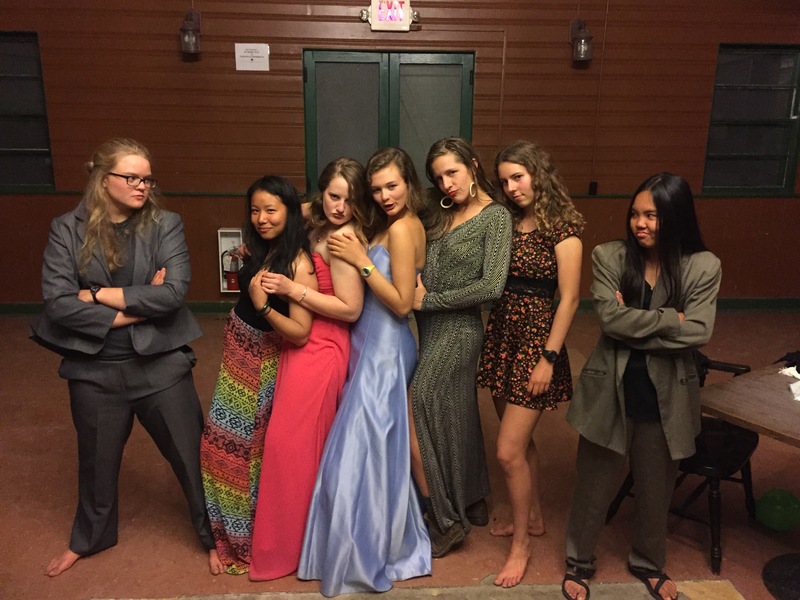 In between all of these farm visits Mountain Classroom found time to have their own Spring Formal...yes, formal is a relative term while on Mountain Classroom!